Last night, I experienced runners high for the first time ever! It really exists! It is so hard to explain and I had heard about it many, many times, but always wondered if it would ever happen to me. I ran home from work, and the weather was just perfect. I felt good the whole time, which rarely, if ever happens lately with me and running. Once I got around the 3 mile mark, something shifted and I started heavily focusing on my surroundings and soaking in the scene. It seemed to be going so fast, and at one point, I literally said to myself “I can do this forever.” Once I got towards the way end, I was almost disappointed that the run was over, and the birds chirping and slight breeze were magnified and it was just an amazing feeling. I seriously felt like I was glowing when I was done and sat outside for a while so I could continue to soak in the scene. 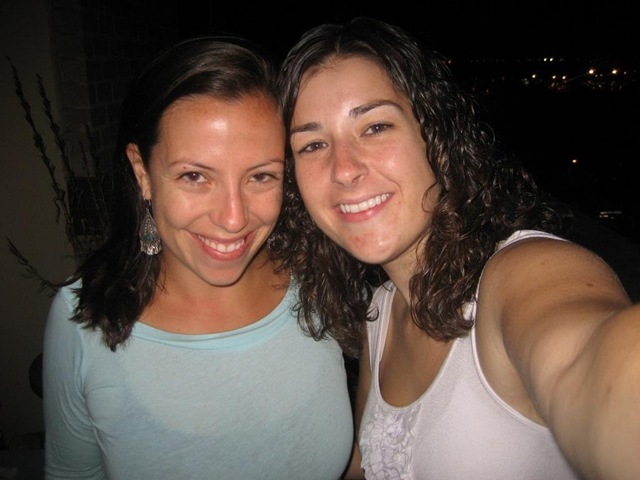 My friend Amber was coming over for dinner, so I made 2 special things that were so quick! If you’ve been following my blog for a while, you probably know that I like recipes with as few ingredients as possible, so I made Chili Roasted Cilantro Chickpeas and Chilled Canteloupe Soup. Put them in the oven and shake them around every 15 minutes. Mine finished in 45 minutes but they might take a little less or more time depending on your oven. 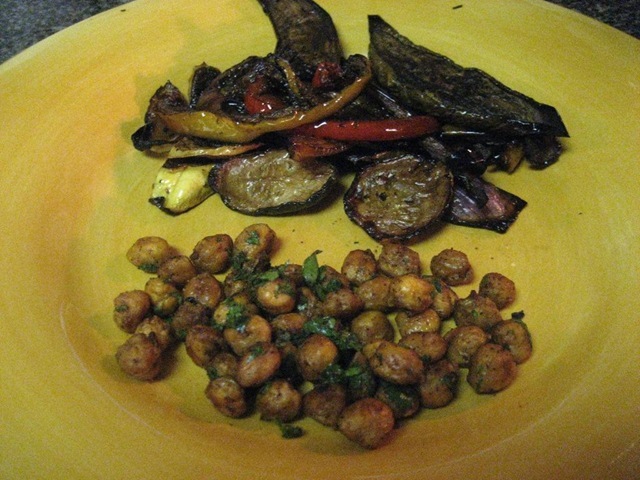 We ate those chickpeas with some roasted veggies that had been marinating since Sunday since we didn’t cook all the veggies we had prepped for the Impromptu Labor Day Gathering. I threw those in the oven for around 30 minutes and just took them out when the chickpeas were done. And then for dessert, we had Chilled Cantaloupe Soup. 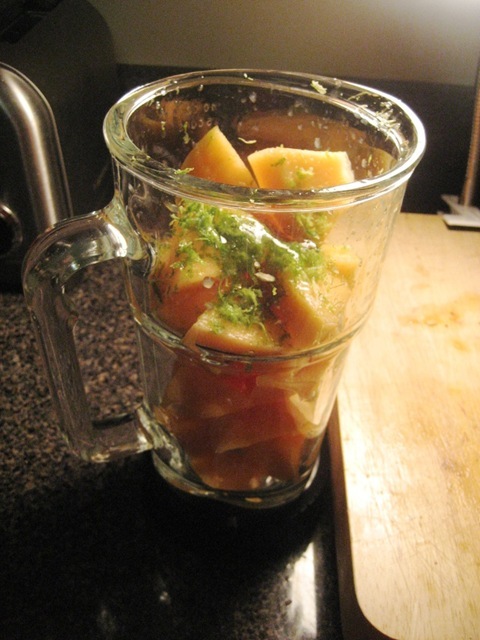 Remove seeds and skin from cantaloupe and chop into chunks. 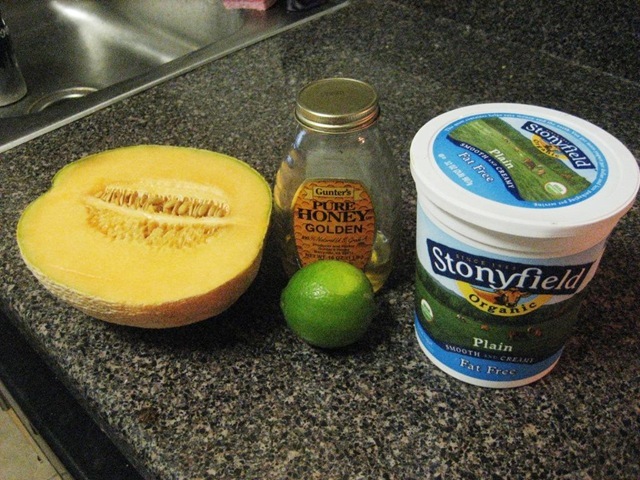 Add cantaloupe, the zest and juice from half a lime, and the honey into a blender. Add yogurt and blend again quickly until mixed. Have you ever experienced runners high? 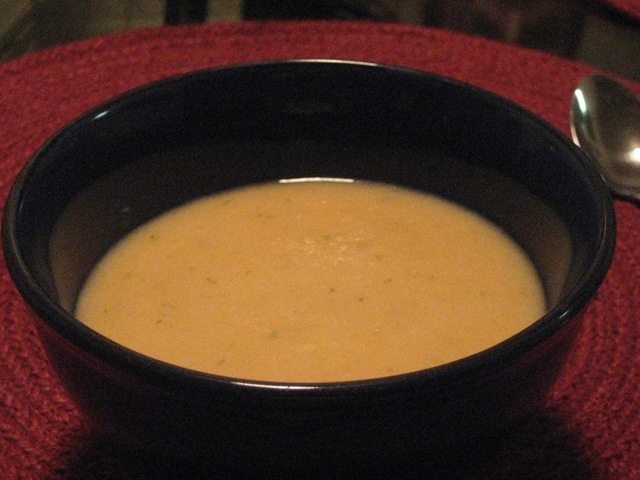 Do you like cold soups, hot soups, both, or none? Favorite kinds? mindy @ just a one girl revolution. I’ve only experienced the runner’s high a few times, but it is a fabulous feeling!! Congrats on the runners high! I have not experienced that but I do get one after weight lifting sometimes! I love cold soups. Gazpacho is one of my faves. I’m slowly getting into fruit soups. They always look and smell so yummy! I love runners high! I hardly ever experience it though, but I love it when it does! 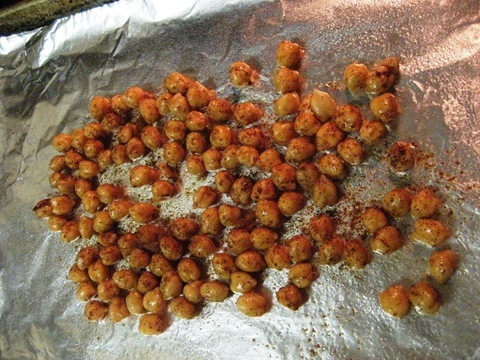 I made roasted chickpeas a few days ago and they were so good! I like the spices you used, sounds delicious! And roasted chickpeas are awesome. I like them that way on salads. But won’t don’t I like on salads? Mmmm! I can’t wait to try this recipee! I love chickpeas! You have been getting faster and faster – you should be really proud of yourself and I know you are going to rock the race. Beth, I finally went on a run yesterday! After reading so much about your runs I figured it was about time to get back on the exercise bandwagon. Only problem is, my legs hurt so bad today I can barely walk up and down my steps! Guess it’s time to get back into the swing of things! I want to come over for dinner!! I have never had a chilled soup… I do love hot soup though. I have also never experienced a runners high….someday I hope! I love chilled soups, but my fiancé thinks they are disgusting! Maybe I’ll try yours out and try to convert him! Love the 4 ingredient recipe! for awhile i lost the runners high.. but i recently got it back as well, such a wonderful feeling- hopefully this just means the next time will be similar!! I get runners high from spinning too and love it! It feels so amazing and makes me uber happy and chipper. 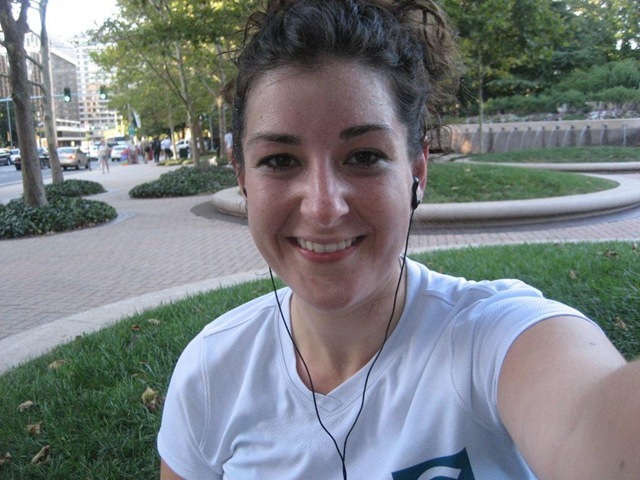 that picture of you post run – A-frickin-dorable. SO CUTE! LOVE the runner’s high. I definitely experience it on a frequent basis…or at least, I did when I was running. I miss running! I know this is old but can you tell me what you used to marinate your veggies in? Thanks!